An Ohio man was sentenced Monday to just under four years in prison for his role in the beating of a black man the day of a white nationalist rally in Virginia. Daniel Borden was sentenced to 20 years, but most of that sentence was suspended. His active sentence amounts to three years and 10 months. Borden, of Huber Heights, Ohio, was one of four men charged in the Aug. 12, 2017, beating of DeAndre Harris in Charlottesville. Last year, Borden entered an Alford plea to malicious wounding. The plea means Borden did not admit guilt, but acknowledged prosecutors had enough evidence to convict him. In this Saturday, Aug. 12, 2017 photo, DeAndre Harris, bottom is assaulted in a parking garage beside the Charlottesville police station after a white nationalist rally was disbursed by police, in Charlottesville, Virginia. WVIR-TV in Charlottesville reports that during his sentencing hearing Monday, Borden told the judge he is not a bigot and is remorseful. He also apologized to Harris, who was not in the courtroom. "As with all prosecutions surrounding the August 12, 2017 attack of DeAndre Harris, this office is hopeful that today's outcome brings some measure of solace and closure to him and the community at large," Commonwealth's Attorney Joseph Platania said after Borden was sentenced. The Unite the Right rally had been organized by white nationalists in part to protest the planned removal of a statue of Confederate Gen. Robert E. Lee. The day was marked by violence. A white nationalist rally turned violent in Charlottesville, Virginia on Aug. 12. 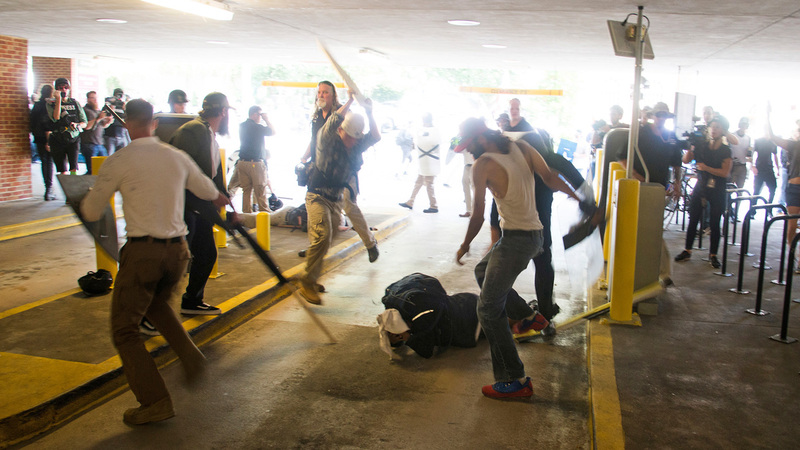 Photographs show several men beating Harris with poles and sticks near the violent rally Aug. 12. The 21-year-old suffered a broken wrist and a chipped tooth, and he got eight staples in his scalp to close a head wound. One woman was killed and dozens were injured when a car driven by James Alex Fields Jr., of Maumee, Ohio, plowed into a crowd of people who gathered to protest the white nationalists. Fields, 21, was convicted of first-degree murder and other charges last month. The jury recommended a sentence of life, plus 419 years. Sentencing is scheduled for March 29. 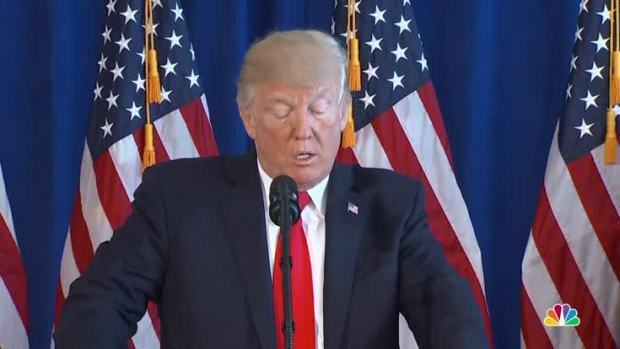 President Donald Trump responded to the violent clashes in Charlottesville, Virginia.